I find a sense of calm and purpose being by the water's edge. Though I love Autumn, it is always a hard transition going toward cool weather. 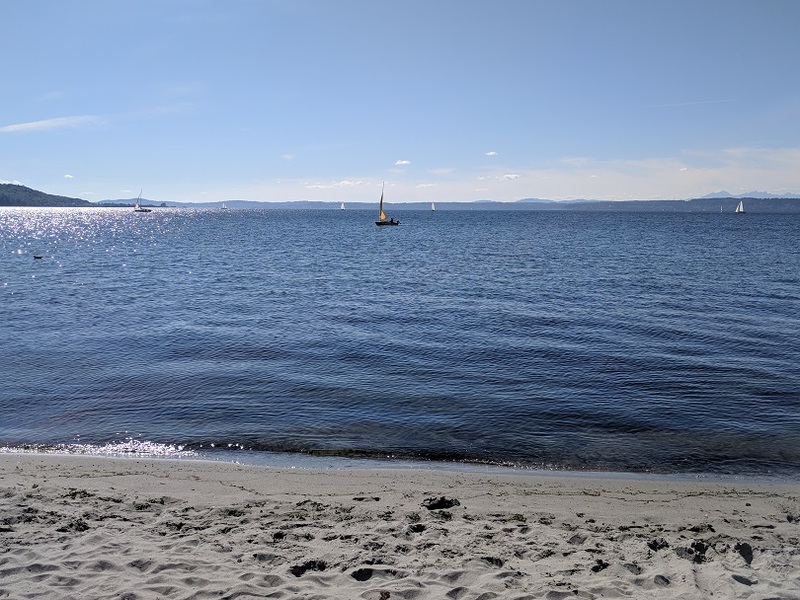 I was very thankful to have an afternoon in the warmth of the sun while walking along the beach of Puget Sound to help ease the transition. I always feel calm by the water's edge as well! Nothing quite like it. It really is a one of a kind feeling. Thanks for stopping by and sharing your thoughts. Have a great week! Hi Amanda, Thank you for stopping by and sharing your party with us!! That is a lovely, serene landscape. I'd love to spend the afternoon in the sun there. It is a beautiful spot. During the summer months, you can barely see the sand for the amount of people. I love these autumn days where there are only a few out and you can really enjoy the breeze coming off the water. Thanks for stopping by, have a great week! Very beautiful photo. Lovely. Thanks for hosting and I hope that you have a wonderful week. Nothing like the sound of waves to calm the soul! Lovely photo, btw. Oh yes, I love that sound. Have a great week! Yes, this is probably the last real warm week here in Seattle. I'm enjoying every minute. Though it will be nice to transition into cooler temperatures. The warmth of a sweater can be very nice as well. Thanks for stopping by, have a great week! Beautiful photo and it looks like a great place for a beach walk!